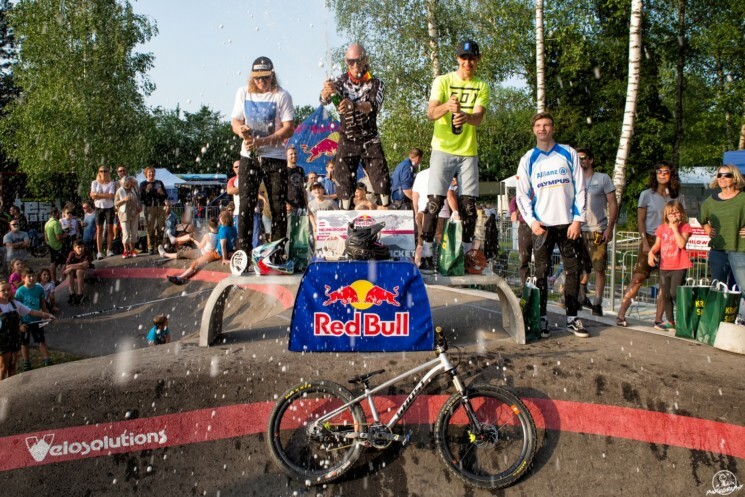 Back in February we talked to Hannes Slavik about the new Pumptrack World Series sponsored by Red Bull. Last weekend, he scored gold in the first race, already securing his ticket for the finals! His secret weapon: picking the right bike for the task. 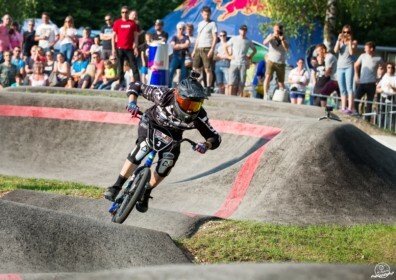 Hannes Slavik knows the Neunkirchen Pumptrack well, last year he won a national competition on the same track: “The turns are extremly tight (almost too tight), the course is built on a very small area,” he said. Knowing that the speed in the tight turns would make the difference, Hannes and his crew played around and experimented with different bikes. 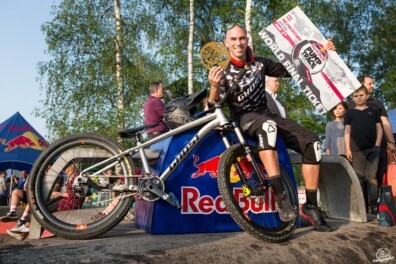 They compared race times with his 4x bike – the one he uses to win races on the 4x tour – to the times he achieved with a BMX or smaller dirt bike, his ‘old’ favorite wheels. In the final it was all or nothing. The times were extremely tight through all the heats of the day. Hannes knew, cutting the time by 0.4s with the right bike could get him gold, and the ticket for the world finals. 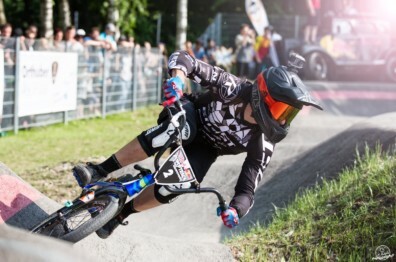 He raced with his BMX bike – and good thing he did so. In the end, it was only 0,08 seconds that separated him from second place. We are proud to support Hannes with #sourcehydration packs for many years. 2018 has been his year so far – let’s hope it will continue like that. Fingers crossed!